Its quite a combo – Nitin Gupta Rivaldo who is already very popular, teams up with Kishore Dayani who is trying to be known. 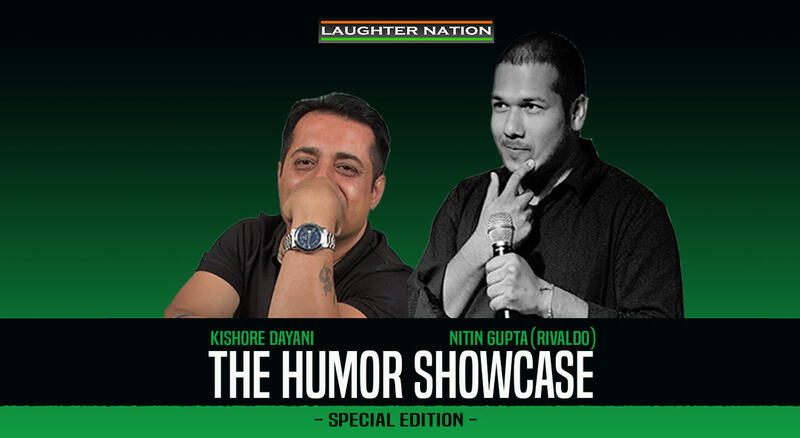 Both of them come together, for the special edition of Laughter Nation’s flagship show – The Humor Showcase. With over 90 minutes of run time, this show is going to be quite a hilarious one. Come for an evening of crazy laughs, where 2 entirely dissimilar performers team up with only one goal – Entertainment. Watch them spread some gandhigiri on Gandhi Jayanti Day.